yourPrint.in lets you customize and create your own company and name rubber stamps online easily. 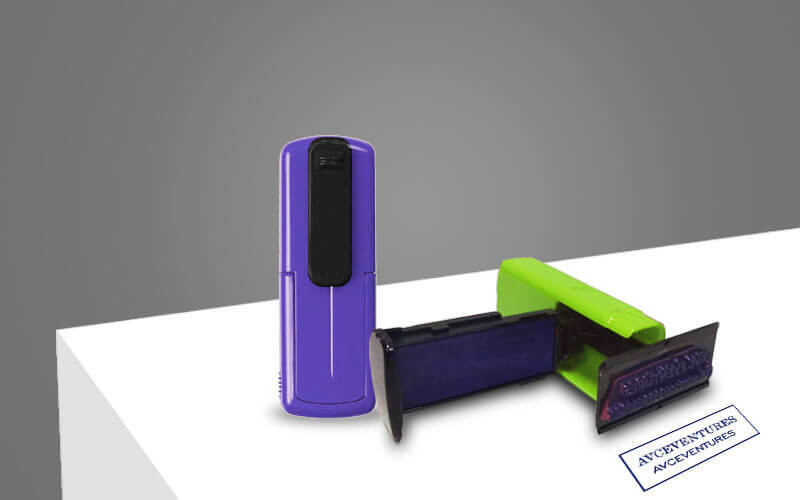 The self-inking stamps are available in multiple variations in size, stamp type and ink color. You can choose a stamp with regular sized print impression or a stamp with a large print area. You can also select defect ink colors for the rubber stamp - black,blue,green,red ink stamps are available at yourprint. Pocket stamps with portable sizes can also be personalized with your full name, company name, address line and more. 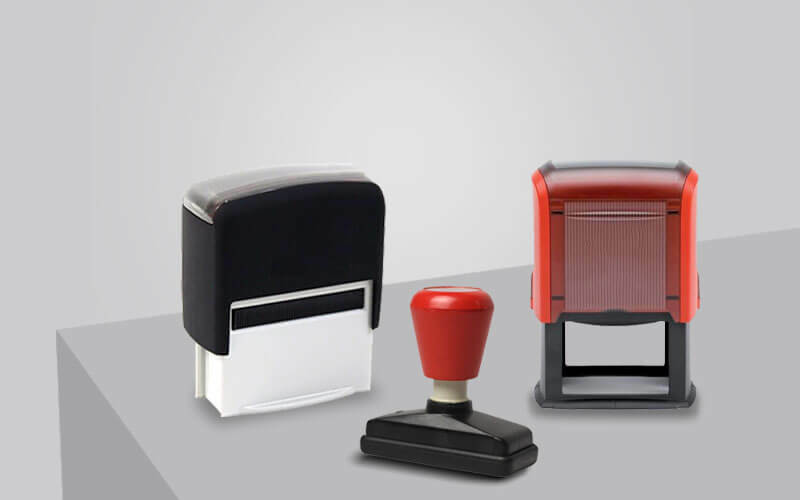 Rubber Stamps are an integral part for any office functioning today. They give a sense of authenticity to the business. At yourPrint, we ensure that stamp printing is easy and done with high quality ink. This is why we offer more than 200 stamp design to choose from. On top of that, you can also select the ink color of the stamp, making the experience of stamp designing smooth. The stamps are long lasting and the ink pads can lost for more than 10,000 impressions on average for pre-inked stamps. 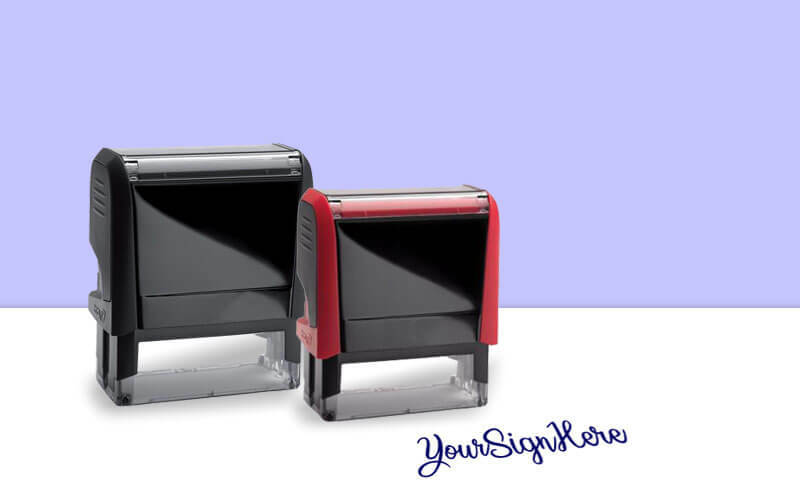 Without doubt, these printed signature stamps are the best stationery products to sign your crucial, confidential and important business documents. Instead of signing the documents repeatedly, you can simply use the stamps to ink your signature on papers. The stamps are available in multiple sizes, ink colors and types. You can customize the stamps within minutes at yourPrint. Portable pocket stamps make stamping and signing very easy for you. They can be easily carried in your pocket and are available in multiple ink colors - like black, blue, red, green. The stamp impression area is around 5x2 cm in case of pocket stamps, making them very pocket friendly and easy to carry with you. All pocket stamps available at yourPrint have a self inking mechanism with replaceable ink pads.